Polycystic ovary syndrome (PCOS) also called hyper androgenic anovulation (HA) a condition an abnormally large number of developing eggs visible near its surface looking like many small cysts or a string of pearls in which ovaries and in some cases the adrenal glands, produce more androgens (a hormone, similar to testosterone) than normal, one of the most common female endocrine, heterogeneous disorders, main cause of female sub-fertility. The principal features are anovulation, resulting in irregular menstruation, amenorrhea and polycystic ovaries, excessive amounts or effects of androgenic hormones, resulting in acne, Hirsutism and insulin resistance, including obesity, and high cholesterol levels. It is important to maintain a healthy diet and regular exercise program to help minimize chances of developing further complications. Infertility generally results directly from chronic anovulation (lack of ovulation). Hyperandrogenism common signs are acne and Hirsutism (male pattern of hair growth), but it may produce hyper menorrhea (very frequent menstrual periods) or other symptoms. Metabolic syndrome as a tendency towards central obesity and other symptoms associated with insulin resistance. Serum insulin, insulin resistance and homocysteine levels are higher in women with PCOS. Diet: Where PCOS is associated with overweight or obesity, successful weight loss is the most effective method of restoring normal ovulation/menstruation, but many women find it very difficult to achieve and sustain significant weight loss. Low carbohydrate diets and sustained regular exercise may help. Some experts recommend a low GI diet in which a significant part of total carbohydrates are obtained from fruit, vegetables and whole grain sources. Vitamin D deficiency may play some role in the development of the metabolic syndrome, so treatment of any such deficiency is indicated. Endometrial hyperplasia and endometrial cancer (cancer of the uterine lining) are possible. Due to over accumulation of uterine lining, and also lack of progesterone resulting in prolonged stimulation of uterine cells by estrogen. It is not clear if this risk is directly due to the syndrome or from the associated obesity, hyperinsulinemia, and Hyperandrogenism; includes not enough physical exercise and a family history of someone with the condition. Cardiovascular disease, strokes, weight gain, miscarriage, sleep apnea, particularly if obesity is present, autoimmune thyroiditis. 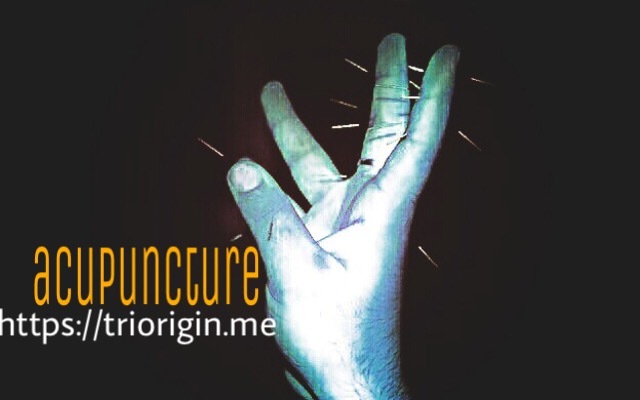 TriOrigin acupuncture operates on a precise and well-organized hierarchical system~ the Tri spatial or time diagnosis. The exclusiveness of TriOrigin is in the possibility of treating the present disease of patient along with roots of the disease in the past as well as its prevention in the future. TriOrigin a traditionally accomplished through insertion of very fine micro needles at the certain energy gates in miniature form of hands or feet’s. To aide in one can put colors as prescribed, and give some warm effect by sparking dry ginger. Gynecological any problems connect to Yang Heat, but when it comes to periodicals its Yin Heat! Initially better to follow as prescribed. Give me the treatment of PCOD with psoriasis + psoriatic arthritis. In triorigin accupuncture. i don’t much about Sujok Therapy, but once i have took accupuncture treatment for weight loss. but it didn’t turned up with some positive results. i am from Mumbai. am 31 year old. married for past 3 years. i am not looking for baby yet. for i wanted to know cure of irregular menses and weight. in last week i got diagnosed with PCOD. and am aware of all possible emotional factors which activated this problem. i searched for 3-4 days on this topic continuously. and came to know that there is no complete cure to this problem only by Medicines. so i want to go with Alternate Therapies. can u post something on your blog, for this PCOD and PCOS. especially Weight gain is major problem in both condition. as Metabolisom goes slow, coz of all Insulin and harmonce Disturbance. inspite of doing excercise + diet, weight is not coming down as expected manner. Please put some light on this topic on your blog. or may be some remedy in acupuncture. so i can consult to local Accupuncture specialist. A million thanks to Dr Dinesh Kapur. One of my nieces who is diagnosed with PCOS had severe abdomen pain at the time of periods with other alarming symptoms got relief within 30 seconds after applying pressure on one point recommended by Dr Kapur. I have hypothyroid for the past five years. Do you think one could cure it through sujok, triorigin permanently or manage it otherwise too! Also PCOS and weight loss. Though, I am doing pretty well but I want to go a step further!